Why implementing printing management software? Out of control printing cost your company more than just the papers and toners, but also IT resource, business process, and security compliance. Even the best run companies have a printing wastage of at least 10%. Printer supplies such as toner cartridges and consumable maintenance kits have always been the most expensive expense for all laser printers, and so cut down unnecessary printing supplies should be your top priority. 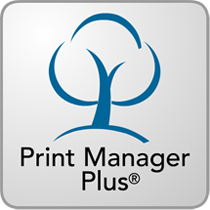 Printing management software can do more than simply setting quota or restriction for each users or department to reduce toner and paper consumption. Yes, there are many ways to reduce your office expense, and you can change employee printing behavior by using printing management software to manage and monitoring printing behaviors in your company.